I was going through my make up collection and found that there were so many products from the brand Essence that I have collected in a couple of years and that I absolutely love and recommend. I love reading one brand posts and thought it would be fun to write about it too. I will talk about the products in 4 posts starting with eyeshadows then lip products, face products and random. 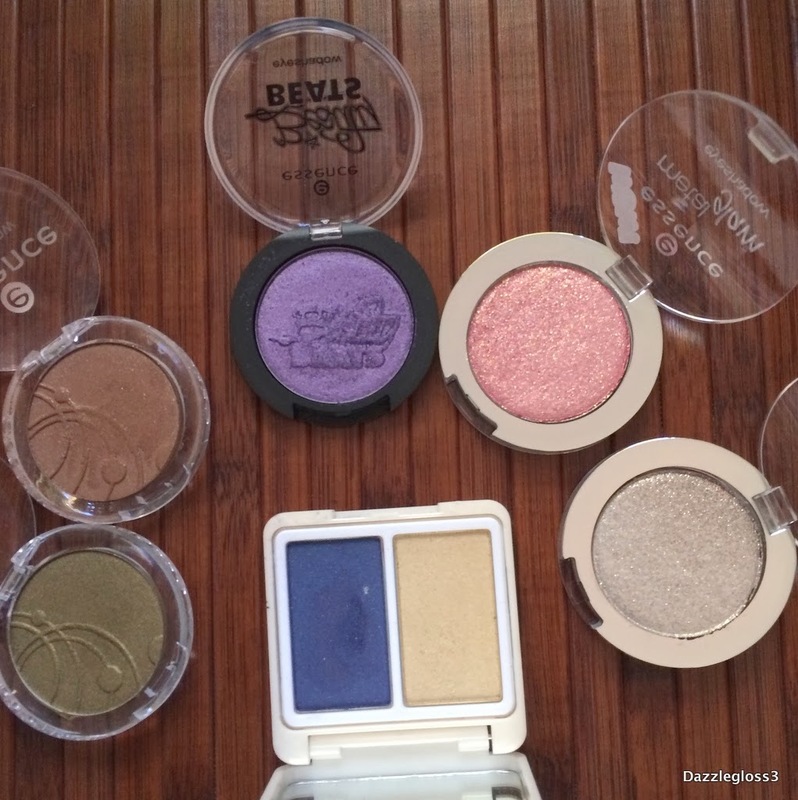 Today's post is going to be all about Essence Eyeshadows. 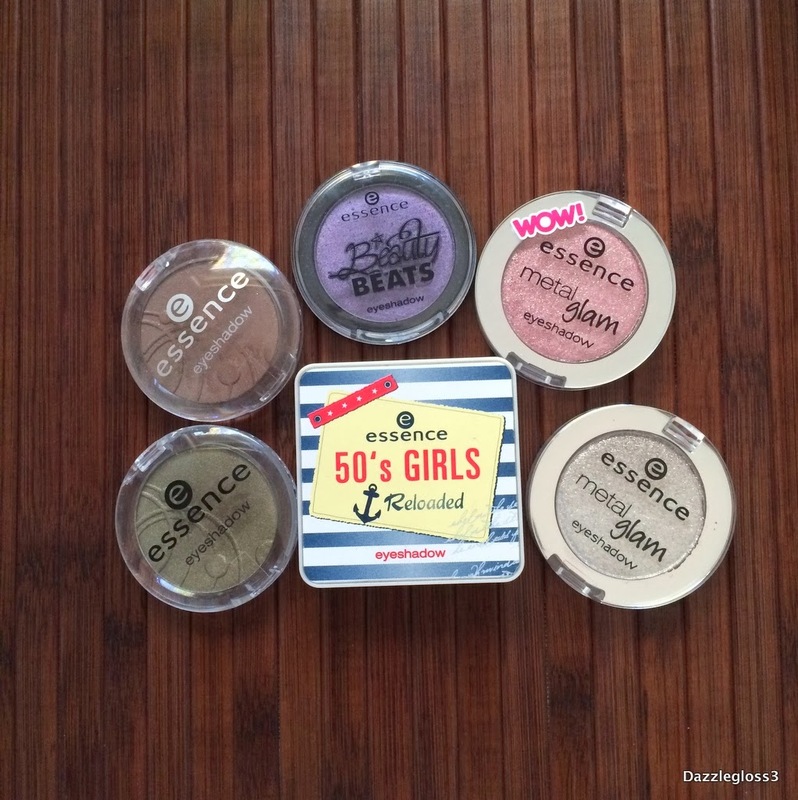 I absolutely love all Essence products and they make some of the best quality eyeshadows. I have a couple of their regular eyeshadows and some from different trend editions. With all Essence eyeshadows the pigmentation is amazing. 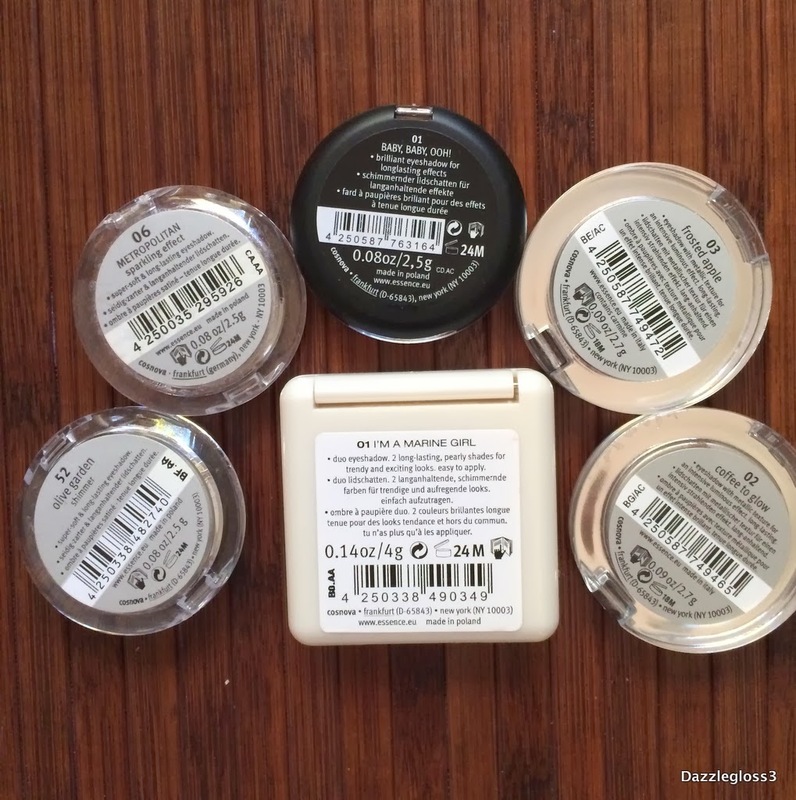 The eyeshadows are super soft and easy to blend. Even with the new metal glam eyeshadows, they have a glittery overspray but there is no grittiness to the texture. They remain crease free for a long time too. 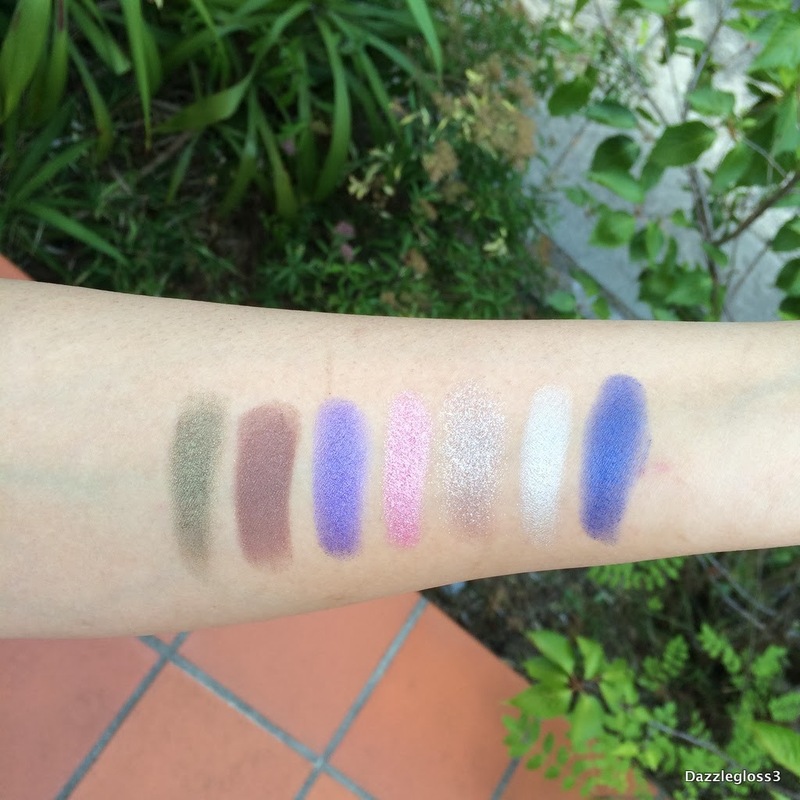 Even without an eyeshadow primer, they are true to colour and what you see in the pan is what you get on your eyes. Some of them are a little powdery, but by tapping off the excess you don't get any fall out. They retail from $2.85 to $5.25 for some special edition eyeshadows. For the price I honestly did not expect such awesome quality but all the Essence products AMAZING!! My favourite picks are Olive Garden, Baby Baby Oh and Frosted Apple. But I still like all the other shades too. 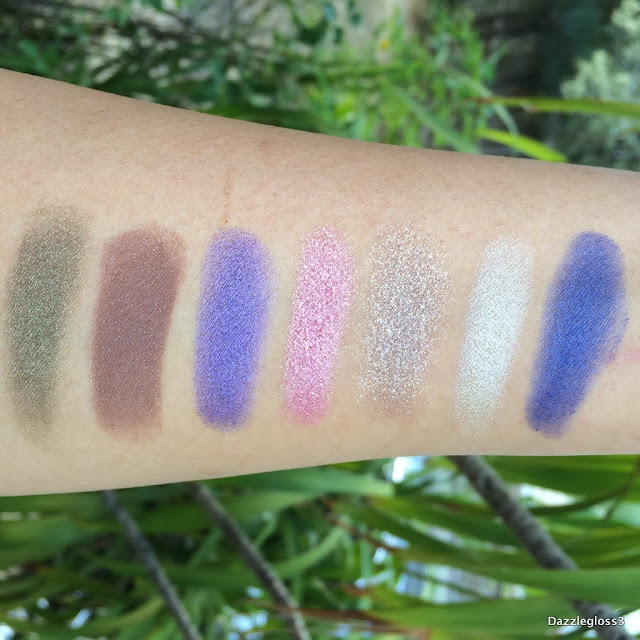 If you are looking for a really cheap, good quality, pigmented eyeshadow then do check out the Essence line either from Priceline or Target in Australia. Also if you liked this post and would like me to do more one brand posts please do let me know in the comments below. luckily we get them here now.. nice post dear!! Thank you for your support Natasha! Have u tried their products before? I find Essence eyeshadows to be hit and miss. Have had some good ones but then some that my brush could barely pick up any pigment from. So cheap though can't really complain. These shades look great Reshma.